Bit Of Byrd: Making Gifts look awesome! As I adventure into the land of Mary Kay for the morning I wanted to share with you a little note about how I make my purchases pretty. Well included in the gift to Erin I sent a pedicure set. Something ever new mom needs, right? 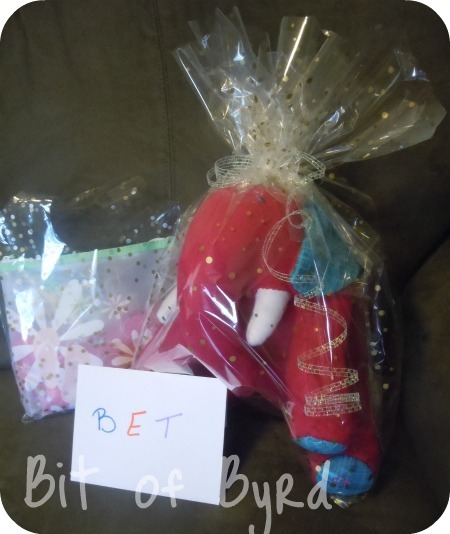 So it got all wrapped up in a nice bag and the Elly-phant got it too. The one my niece got had nice wrapping, even though it wasnt being shipped. There is a picture of both of them. Arent they pretty. 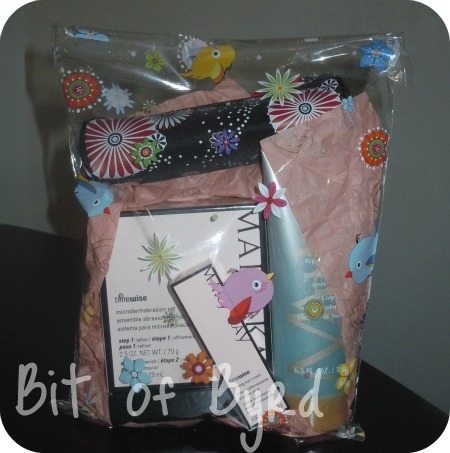 My regular MK products also get pretty wrapping, so it always feels like you are getting a gift. That is my goal at least. Depending on the product sometimes it is a simple bag like the first picture, other times I use more cellophane. So where do I get this awesome cellophane and these great bags? I love them! I first started out just order cellophane and the Mesh Ribbon but the next order I placed I had to get the self sealing bags and the random selection of bags too! 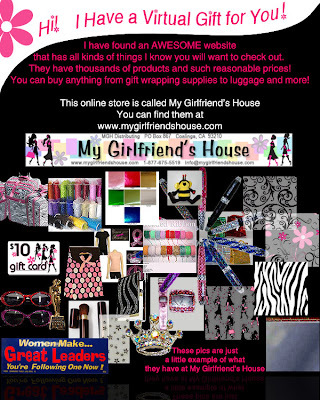 Well I am here to share with you a coupon code!!!! That will get you 10% off your order when you enter that at check out! I would love to know what you get and how you use it. **In no way is this post an advertisement for Mary Kay, Inc. or any of their products, nor is it endorsed by Mary Kay, Inc. 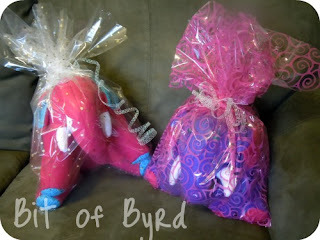 The goal and purpose of this post is to share my ideas on how I present products. However, if you do want to shop me online: you can do it here.